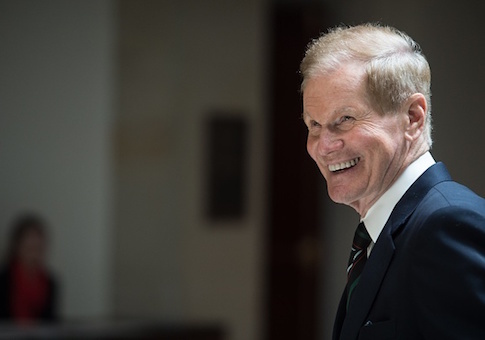 Florida Democrat Bill Nelson's reelection campaign was still not employing full-time staffers entering the final quarter of the midterm election cycle, it's newest filing with the Federal Election Commission shows. The Washington Free Beacon reported earlier this month that Nelson had been using independent contractors instead of employees, allowing it to avoid costly payroll expenditures every other campaign incurs. Nelson's latest filing, covering activity from April through the end of June, shows the campaign continued the structure throughout the quarter, making regular payments to contractors for campaign work including fundraising, research, communications, compliance, and strategic planning. There were again no reported disbursements for payroll tax or employee health insurance, costs directly associated with having full-time staffers. The Nelson campaign criticized the Washington Free Beacon‘s initial report, telling local reporters it was based on "out-of-date information" even though it was based on the most recent information available. The campaign did not respond to a request for comment on the new filing, which further confirms the initial report and shows the practice continued through at least June. Nelson's team said it was "a very common start-up model" to staff the campaign with "independent contractors who get paid a contract amount and are on their own for dealing with taxes and benefits." It was the only Democratic reelection campaign to follow the model. Nelson's campaign also insisted that it began to replace contractors with full-time employees on July 1, a fact that won't be verifiable until Nelson's next filing, which is due in late October, a few weeks before Election Day. The first filing for Nelson's opponent, Governor Rick Scott, confirms the Republican's campaign has operated in a more typical fashion, maintaining a payroll and making the disbursements associated with having full-time employees. Nelson's campaign reported just over $1.2 million in operating expenditures for the quarter, far less than Democrats in similar electoral situations but in smaller states. Sen. Claire McCaskill (D., Mo. ), for example, reported more than $3.5 million in operating expenditures for the quarter. Scott reported nearly $18 million in operating expenditures, though, because it was his first filing of the cycle, which covered all activity this year. Scott was highly critical of the way Nelson was handling his campaign staff. "He's been a hypocrite," Scott said. "Here’s a guy who likes to raise our taxes all the time, Bill Nelson, and at the same time we got a report last week that for his campaign, he’s not even paying his payroll taxes. And on top of that he likes all these big government health care mandates, and he's not even paying his own employees' health care." Campaign veterans strongly disputed Nelson's notion of it being "very common" to operate without full-time staff, especially in a statewide Florida election. They also questioned whether Nelson was skirting federal labor laws by paying individuals doing regular work for his campaign as though they were contractors. Labor advocates such as the Campaign Workers Guild have been critical of Democrats who give lip service to labor issues on the campaign trail but then treat workers poorly. "The Democratic Party, in particular, is a champion of labor rights, except where its own laborers are concerned," the group says. "Campaign workers routinely work more than twice the standard workweek for less than minimum wage and no health care benefits." Nelson's campaign had $13.7 million in cash on hand going into July. This entry was posted in Politics and tagged 2018 Election, Bill Nelson. Bookmark the permalink.